The Kasa Smart Plug Mini will be first model to gain support, TP-Link said. The company didn't indicate whether any other existing Kasa accessories would follow suit, or whether it's planning to offer HomeKit in upcoming products like its wall outlet, outdoor plug, security cameras, or video doorbell. 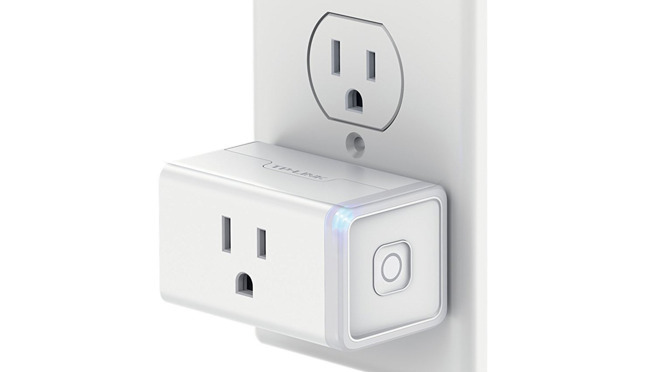 Though smartplugs by the likes of iDevices and Belkin already feature HomeKit, the Kasa Smart Plug Mini could become crucial to the platform because of TP-Link's deals with Amazon. The latter regularly sells the Mini for just $15 when people buy an Echo speaker, so many homes may suddenly find themselves with a new reason to use HomeKit. HomeKit developments are making some waves at this year's Consumer Electronics Show in Las Vegas. Above all is the addition of AirPlay 2 to TVs by the likes of Samsung and Vizio, bringing Siri and HomeKit alongside it. HomeKit will allow automations as well as manual control of things like power, volume, and inputs. Samsung is going a step further, incorporating a native iTunes app into its software. Until now iTunes has been restricted to Apple hardware and a Windows app. This CES is very good news for HomeKit. I have several TP-Link smart plugs which are Alexa and Google Assistant compatible. True Apple support was an example of how the 'ecoystem' didn't stretch far enough. Their smart plugs are very popular and often on sale via Amazon (even without an Echo purchase). The Kasa app runs fine iOS for control (manual, scheduled etc) but HomeKit support will be a win for Apple. Can’t wait. I have a bunch of these things. Got them all for $5 as packaged deals from purchases at Amazon and Best Buy. They work great. I use the iOS app now but HomeKit support will be awesome. Will they retroactively bring HomeKit compatibility to existing devices via firmware update, or is this just going to be for their new hardware lineup? I think your question is spot on. I wanted to purchase some of these but got the WeMo instead because they work with everything. I have several HomePods and now several of Echo Dots thanks to Amazon and Best Buy adding free ones to most purchases. Wish there was an answer somewhere. We've already asked, and we don't have a clear answer yet. I've got one TP-Link Smart Plug, the big oval thing that was a freebie with another purchase. I don't know if it's Alexa compatible, and she'd not played well with my limited, basic Home automation. It works well enough via the iOS app, but it's too big. Now that the mini will be available with HomeKit compatibility, I'll get a couple more. Do any of you know if there's such thing as a doorbell with camera that will automatically present what the camera sees on the lock screen of my iPhone? It could be either motion detected or when someone presses the doorbell button, doesn't matter, I'd just like something that pops up a video window without me having to unlock the phone and open an app. If I could listen and talk to the visitor, that would be even better.